Of all objects on this planet, the vinyl record and its packaging is probably the one thing that I treasure the most. The size of a 12" or even a 7" piece of vinyl strikes me as the perfect size to appreciate the work that is in front of me. Some people have pictures of their family or pets on their I-Phones, and some even have food, but for me, it's the picture of a favorite album that warms my heart. That one image brings me to a different world or a landscape that is redefined to another level of existence. I go to record stores, not only to buy music but also to look at the album covers. I very much treat a visit to a record store as if one visits a museum or gallery. It's interesting to know that many artists feel the same way, regarding the vinyl album and its cover. "Art & Vinyl" (FRAENKEL GALLERY / EDITIONS ANTOINE DE BEAUPRÉ) is edited by Jeffrey Fraenkel and Antoine de Beaupré, whose records are in his collection that is in this book. He is also the founder of Librarie Galerie 213 in Paris. 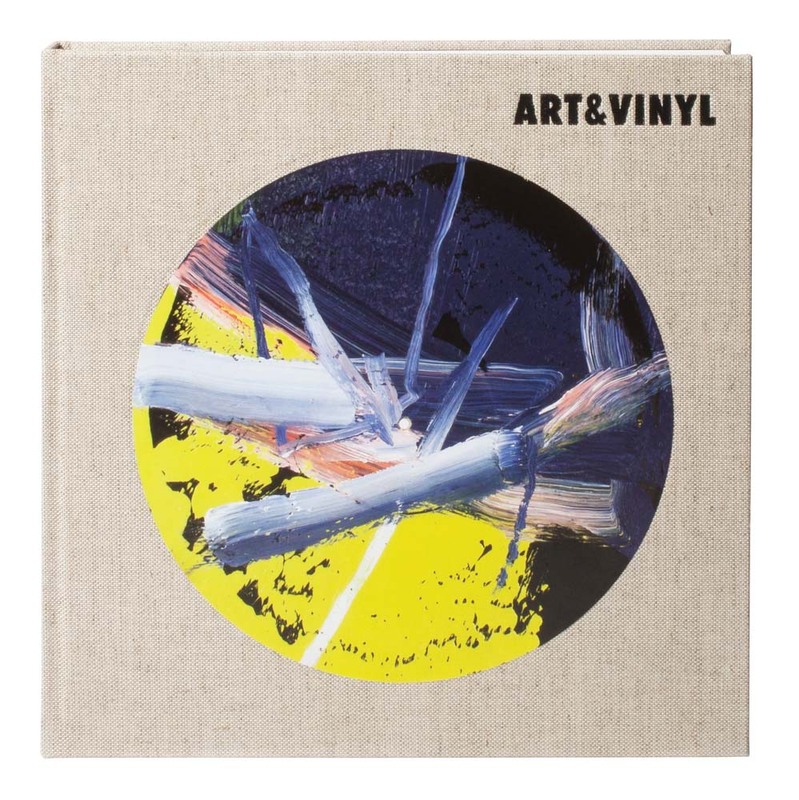 There are many books on the vinyl record as music and as a visual, but "Art & Vinyl" is the best volume on that subject matter. For one, this expensive book is superbly designed, and the reproductions of album covers and their vinyl is perfection at work. The focus is on the fine arts and not the commercial arts. All the covers and designs in this book are by well-known artists and photographers. And there are surprises here. I didn't know for instance that Gerhard Richter did a painting on a Glenn Gould album. Or that Yves Klein designed the album and label for a recording of a lecture he gave at a museum. Beyond that, there are the famous works, for instance, Sgt. Pepper's Lonely Hearts Club Band,"(Peter Blake & Jann Haworth), "Best of Cream" (Jim Dine), "Exile on Main Street" (Robert Frank), and others. There are also artists who did covers, but also made the recordings as well. Joseph Beuys, Yves Klein, Jean Dubuffet, Christian Marclay and Wolfgang Tillmans all made their records under their name. Noticing the relationship between the visual and recording arts is interesting. Many musicians do visual art, so why not are artists making music? In a sense it's another platform for these talented people to explore, and "Art & Vinyl" covers that field quite well. Not only a remarkable book, but an essential book for designers, but also to expose the thread between high-end artists and the vinyl graphic and recording world.